This website is filled with much relevant information for the people living in Glen Austin Midrand. ​It is worth your while to spend some time here and find the documents that will give you the power through knowledge! Eskom Public meeting on new tariffs on Monday 4th February at 09:00 at Gallagher Estates. To join GARA, click on the button below. Membership is only R240 per annum, which includes the ICASA radio license fee for the radio network. 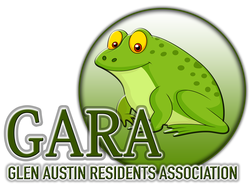 For more details about GARA, and the work that we do, follow this link. GARA is all about preserving the country way of life we have. The Glen Austin Conservancy is playing a major role in this. Go to the page to see pictures of the events they are organising. These events are ideal for getting to know people in the community. The importance of standing together. There was an illegal tyre depot on Dale Road and you might wonder, "What is the problem with that?" Firstly, Can you imagine how much water collects in these tyres and what an excellent breeding ground this will be for mosquitoes? Secondly: Can you imagine what a fire hazard we would have if these tyres would have caught fire? Thanks to the persistent hard work of GARA and the conservancy the illegal tyre depot has been successfully closed down.